The DRK Ortsverein Konz e.V. is the responsible German Red Cross organisation of the association of municipalities Konz. In addition, they offer children and young people the opportunity to get involved in the Youth Red Cross. 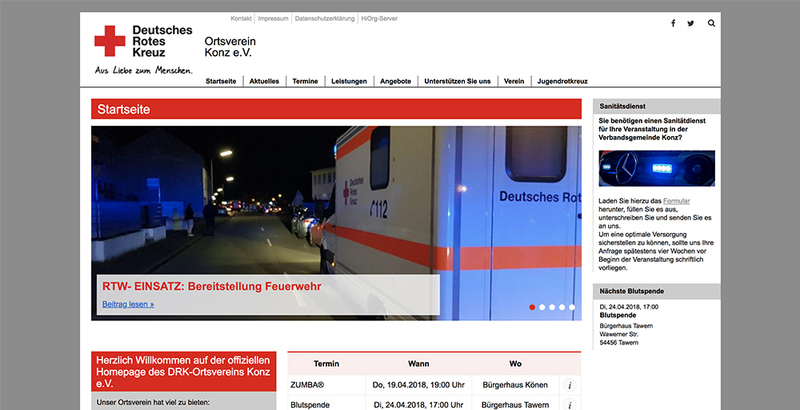 The website created is the main online presence for the german red cross organisation in Konz.